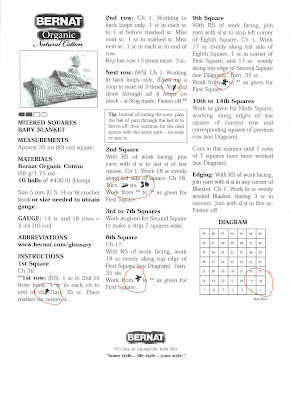 Back in July of 2008, I shared a little picture tutorial on the general idea for making the Mitered Squares Baby Blanket which is available on the Bernat website as a free download. You can click HERE to print your own copy. You may have to sign up to get into the patterns, but it's free and it's well worth the minute it takes to enter your information because they have some fabulous patterns on there with new ones added all the time. So anyway, I made the blanket in a soft green cotton yarn and it is for sale over in my Etsy shop if you'd like to take a look at the finished product. Just click HERE to get THERE...but be sure to come back because I have more to show you! Recently one of my readers, Dee, decided to make this blanket and we corresponded a few times about the pattern and getting her going on it. She got to the part of the pattern where the second row begins and just couldn't seem to get it. We've all been there, so I totally understood. Sometimes you just need to see it done to understand it. So I've made a little video showing Dee and anyone else who might be interested how to begin the second row of this pattern. If you want to start from the beginning, use the links above to print your own copy and then check out the picture tutorial also linked above. This is just a sample for the purpose of this video, but I'm thinking I might just continue making it to use up my scrap cotton. It's kinda nice! Here's a close up of the beginning of the second row of blocks. Using different colors for each block makes it easier to pick out what's what. And below is the video demonstrating how to do it. Also below the video is the pattern with some red circles on it where I have made some edits. You might want to make the same changes to your printed copy of the pattern as well. At the bottom of the first column, I have added a * before the instruction to turn your work. There are two places in the pattern where you will want to begin at that point instead of at the beginning of the 1st row instruction. 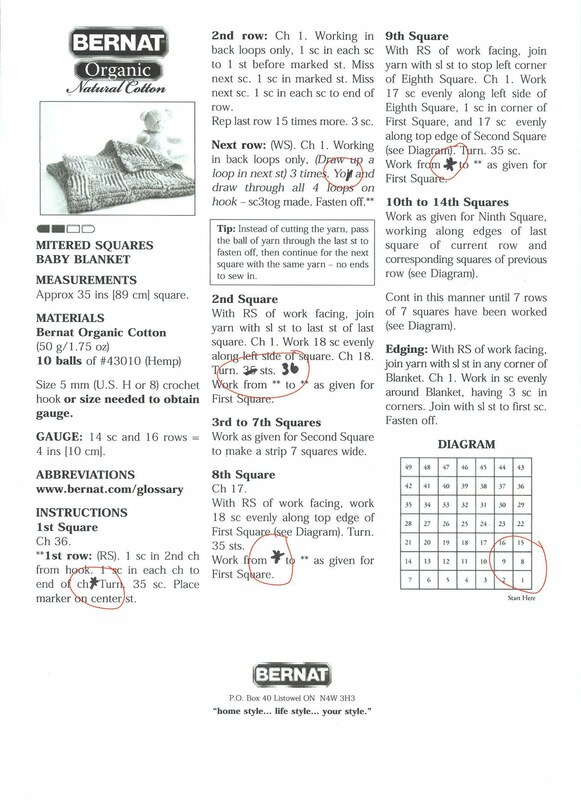 One of those places is at the bottom of the second column in the instruction for the 8th square and the other is at the end of the instruction for the 9th square. Towards the top of the second column in the instruction for next row, I crossed out the 'h' for the Yarn Over abbreviation. That is more for my own use since some people use YOH to mean Yarn Over Hook, but I find it confusing so I prefer just plain old Yarn Over. And in the instruction for the 2nd square, there will actually be 36 stitches after working the two sets of 18 stitches, not 35. So I made that change as well. You should be able to click on the picture of the pattern above and see it larger and maybe even print it out from there, but if not, you can just go ahead and make those changes on your own copy. I'd sure love to see a picture of your blanket if you decide to make this fun pattern! 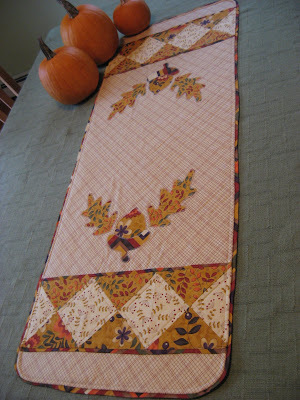 I'll share a picture of Dee's finished blanket with you, if she'll allow me to! I like it in the scrappy colors too! As a new crocheter, I really appreciate you taking the time for tutorials. I learned a lot! 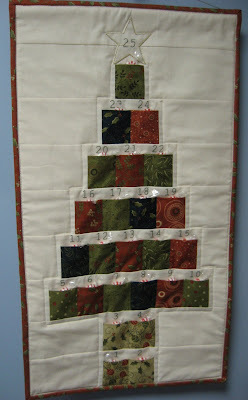 This really looks like a fun project - I love the look of this pattern and will definitely give it a try. Thanks for sharing with us. V. Easy and elegant, thanks!